We have to admit that our love of flora and fauna doesn’t necessarily extend to all creepy crawlies, but butterflies are always a welcome addition to our yard. Here, five simple but efficient ways to bring more of these beautiful winged creatures to your outdoor space. Bonus: Little ones will love getting involved in this fun project (mud pies!) and learning about these fluttering insects. 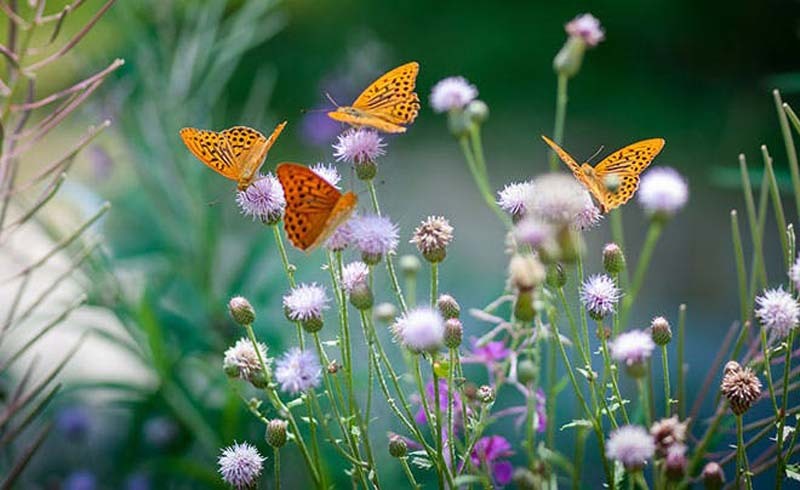 The best way to attract more butterflies to your garden is to offer them a buffet of nectar-rich blooms. 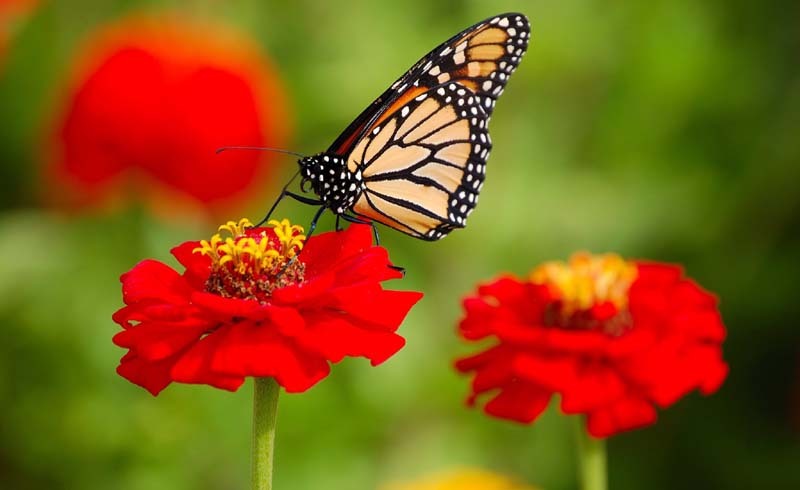 Butterflies love bright hues, like reds, yellows and purples, which signal to them that flowers are full of sweet drink. Some good choices for beginner gardeners? Marigolds, pansies, and zinnias. Add some pillow-like blossoms to your outdoor space (instead of trumpet shapes that are more likely to attract hummingbirds and bees) so that these winged creatures have someplace to sit and perch while they eat. Aptly named plants like butterfly bush and butterfly weed will do the trick. Fertilizer is generally fine, but pesticides can't differentiate between butterflies and actual pests, so it’s best to keep things all natural. These pretty insects won't drink from open water so create a damp pool for them to enjoy instead. To make a butterfly bath (aka a mud pie), mix sand and soil in a shallow bowl and add just enough water to soak the mixture (but not so much that there’s standing water). Butterflies are cold-blooded, which means they like to rest and warm themselves up in the sunshine. (All that flying around is tiring, you know?) A few flat rocks strategically placed wherever your garden gets the most sun will make a perfect pit stop.